i'm surrounded by boxes. and trash. odds and ends. lingering furniture. we bought home depot boxes, as we always do. then we hit the jackpot of used boxes on the curb just a few houses down. and so, we are equal opportunists in the big box store boxes. i do enjoy the cut out handles of the lowe's boxes. for your reference. and the colors, i like the colors better. empty bookshelves, empty closets. the best way to transport your clothing in a move. hands down. take note if you know not of this trick. just hang the clothes up in your new place, unwrap and voila! 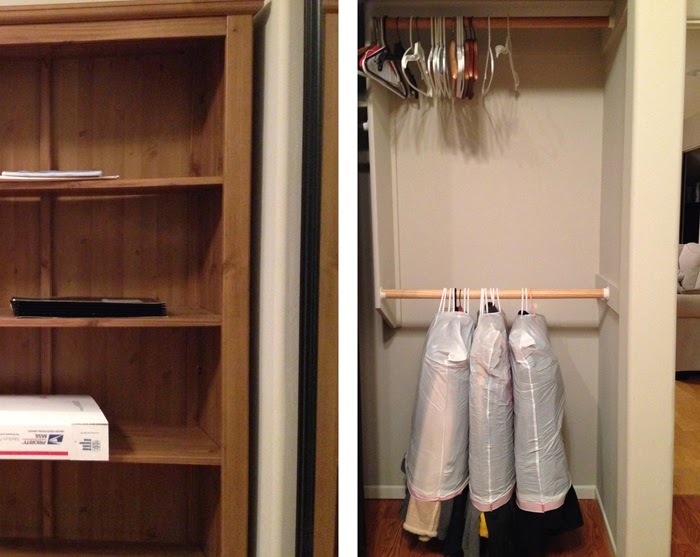 closet, done. bam. we got the keys today and took about 20 boxes over. it still doesn't feel real. a house that we own and are 100% responsible for? scary stuff. awesome stuff. deep breath stuff. new home, here we come. omg... I found used uhaul boxes on the side of the road too & when I was loading them into my car, the owners saw me and offered me more new/unsused boxes & packaging tape, I was like hoozzzaaa!!!.... 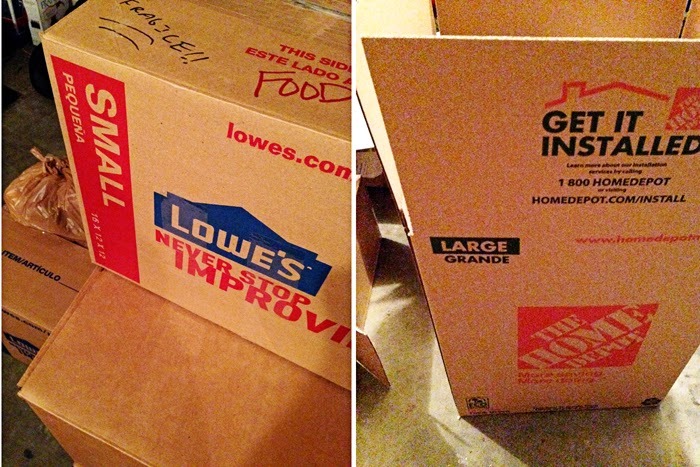 It was like a gift from the moving gods, cause the process of moving blows & those boxes are kick arse!! !